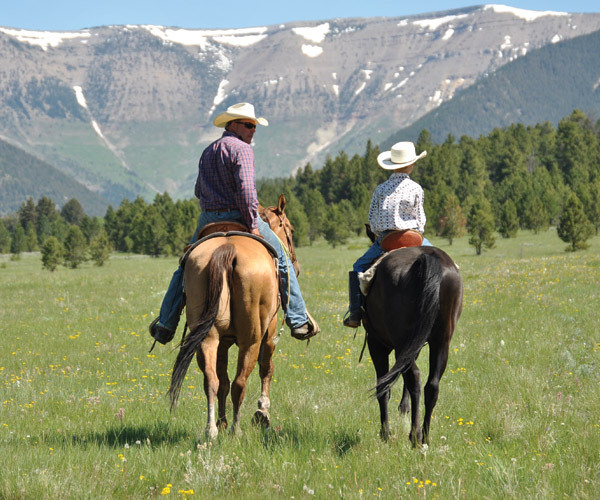 Five generations of the Swanz family have made ranching their way of life in the foothills of the Big Snowy Mountains. 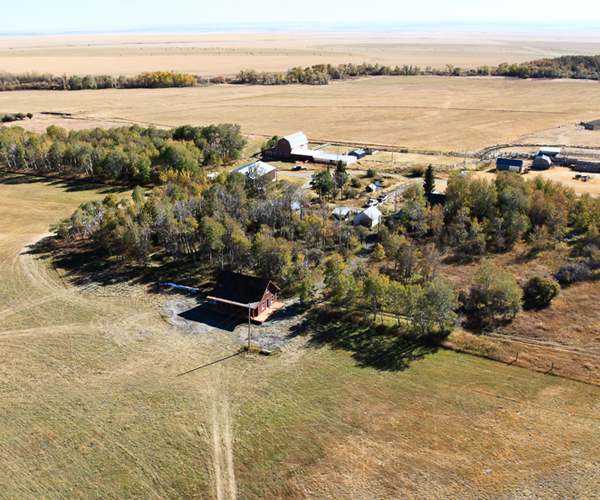 The original land deed signed by Grover Cleveland dates back to 1883 making them one of the earliest cattle ranching families in central Montana. 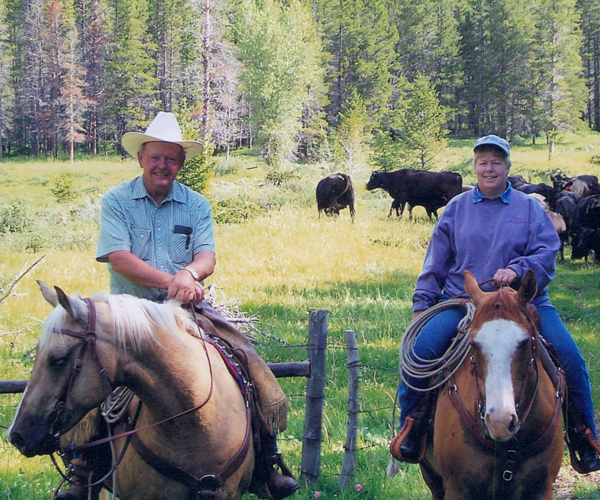 Recognized in Montana for their lifetime achievements in agriculture, grandparents John and Linda Swanz are still an active presence in the ranching operation. 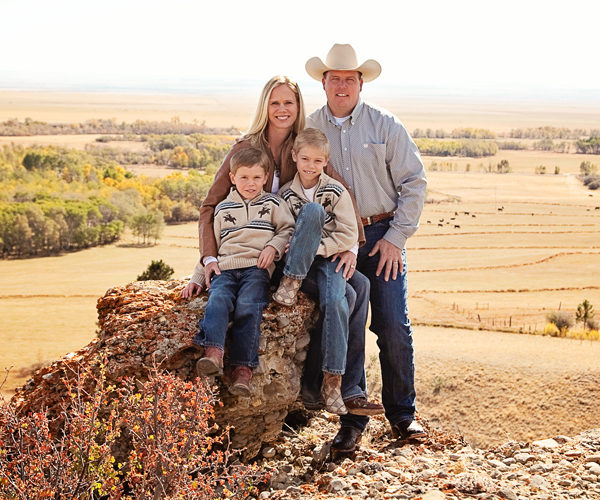 They have turned the reins over to their son and his family for the day-to-day management as they become increasingly more involved in citizenship, and representing the interests of the livestock industry. 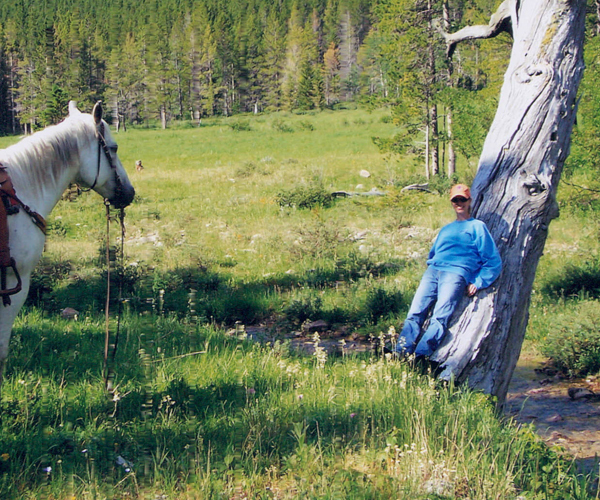 The personal service, warm and friendly hospitality, and ranch adventures combine to captivate and enrich the lives of guests who come from near and far. 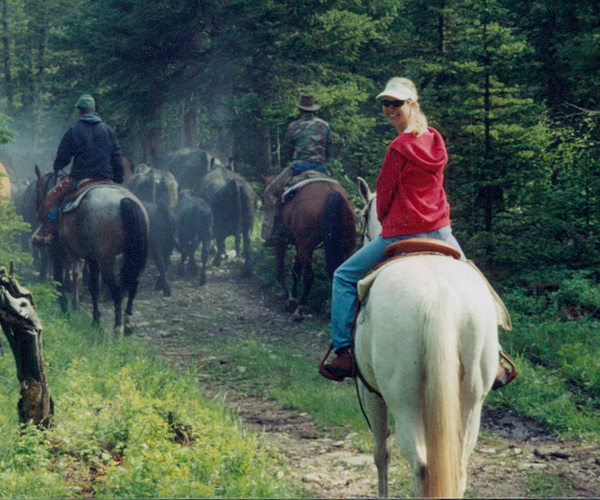 Whether you are trail riding or working cattle, there is no better way to see Montana than from the back of a good horse. 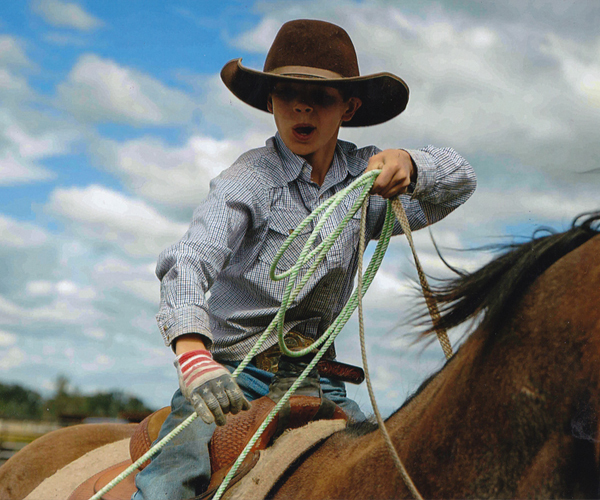 Pull on a on a pair of work gloves and swing into the saddle of a trusty ranch horse—participate in the work of the season. Calving begins in February (the toughest job you’ll ever love). Spring branding is one of the times neighbors come together to help each other and socialize. 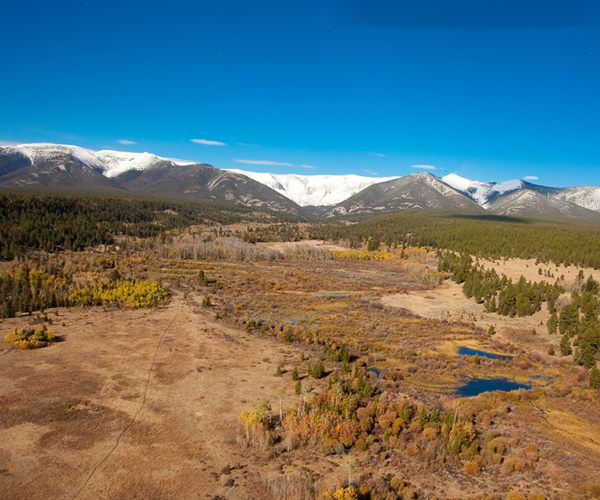 Cattle are trailed to the foothills of the Snowy Mountains early in the summer. Ride herd health with the ranch hands—there’s always water, grass, and fence to check most any time of the growing season. 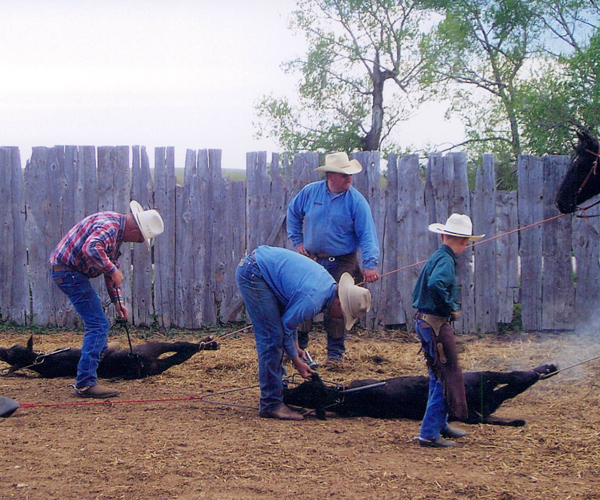 Follow the motto “safety first,” guests can learn by roping the mechanical steer from the ground. 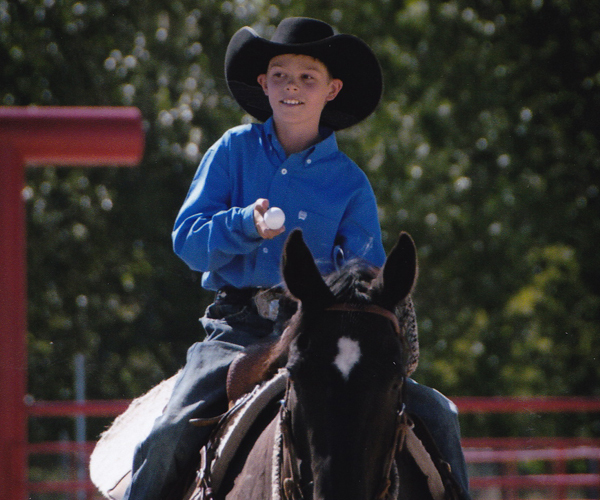 With a roping arena on the premises, summer evenings often find the family team roping with friends and neighbors. 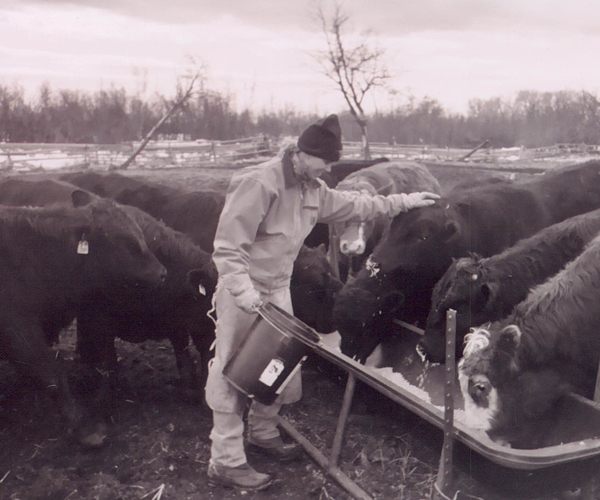 Gather cattle from the creek bottoms for pre-conditioning in the early fall, Then“cowboy up” for the big gather in October when the cows are trailed home. 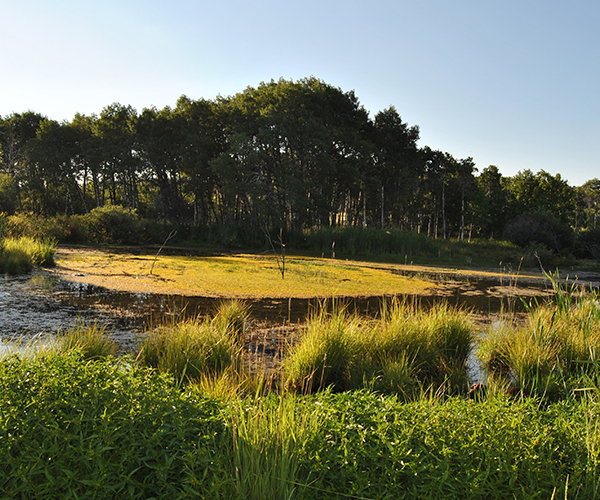 Careless Creek meanders through the ranch with ample opportunity for trout fishing and watching the abundant wildlife. 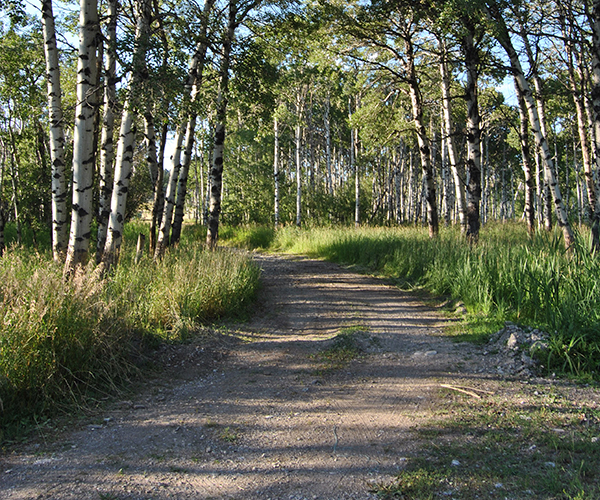 Being centrally located means being close to many great Montana attractions such as rodeo, Cowboy Poetry and the Chokecherry Festival, Charlie Russell Chew-Chew Train, or the CMR Elk Refuge. 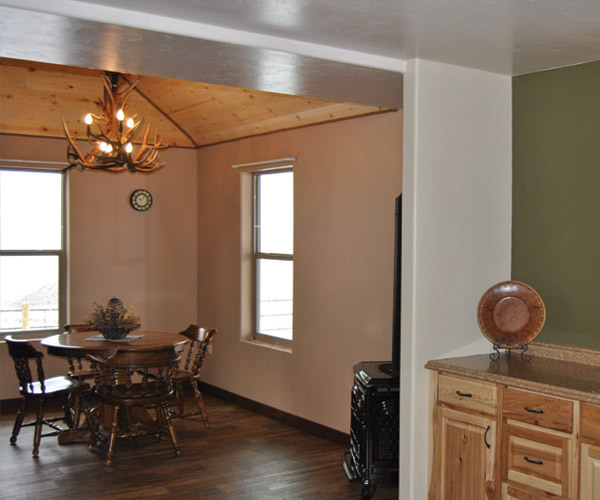 The new and fully furnished guest cabin nestled in the trees can sleep a family of 6. 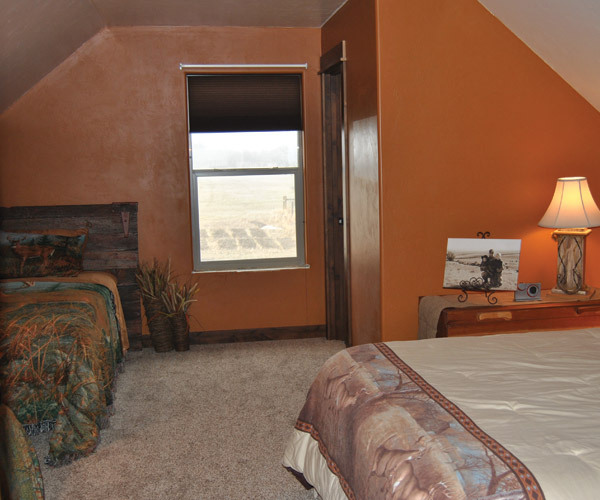 There is a queen bed and private bath downstairs and another queen plus twin beds and half-bath in the loft. Laundry facilities are on the ground floor. 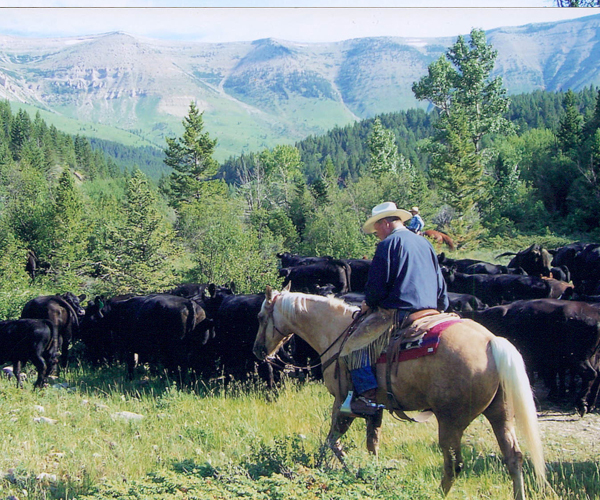 Guests have the option of late mornings (cooking their own breakfast from their stocked kitchen,) or making their way to headquarters for “cowboy breakfast” with the ranch family first thing in the morning. Dietary preferences are easily accommodated as long as Jody (who is also a nurse) has some advance notice. 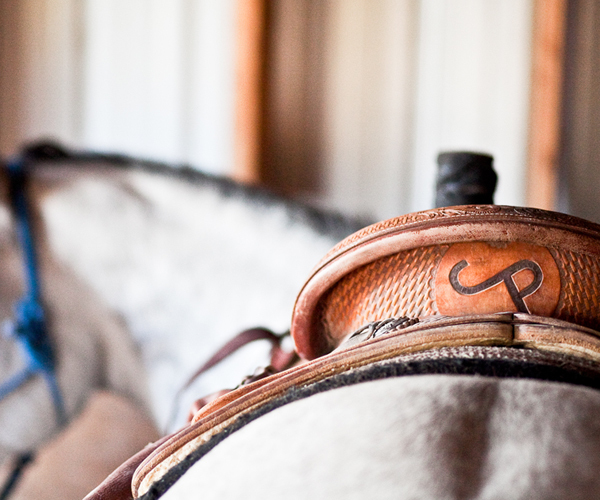 Depending on the day, saddle bag lunches may be the fare. 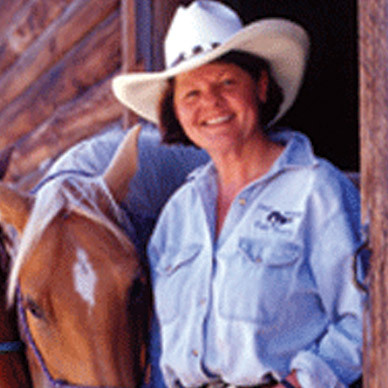 Suppers of Jody’s delicious home cooking often feature ranch-raised natural beef.